Eddie Stiven hails originally from Ayrshire, and it is the language of South Ayrshire – Lowland Scots – which he melds with Scotland’s cultural heritage of Balladry, Myth and Legend, to create his unique and atmospheric stage plays. He also writes in English, and for the other media of Radio, Television and Film. He is a frequent tutor on cultural programmes and he is an occasional actor. Since 1996, he has run cultural programmes in the Highlands and Islands for visiting students from abroad, chiefly North America (see www.studyglenelg.co.uk). He works regularly as an outreach tutor for Lewis and Clark College in Portland Oregon, and in 2002 he was invited to be visiting Professor of Theater Arts at Portland State University, Oregon. In 2007 he ran a scriptwriting workshop for inmates in Porterfield Prison, Inverness. He is a member of the judging panel for Scots Language plays in the annual Robert MacLellan Festival on the Isle of Arran. He is currently working on a commission for BBC Radio Scotland for his play, ‘Wings of the Morning’, a mountain rescue drama set at the dawn of the new Millennium, and exploring themes of change in the Scottish Highlands and Islands. The play is being produced by Bona Broadcasting (www.bonabroadcasting.com). Click HERE to listen to the play. Note that there is a short period of silence at the beginning. He is also staging regular performances of his play, ‘Seeker, Reaper’ in which he plays the part of a Herring Fisherman in the mid Twentieth Century. The play is inspired by the men who worked at the Ring-Net Fishery and incorporates visual images from the period by Lachie Paterson and incorporates the multi-lingual poetry of George Campbell Hay. 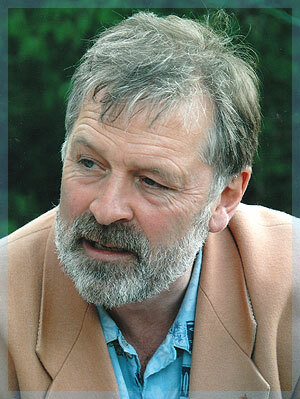 Eddie is a member of the Scottish Society of Playwrights and of the Actors’ Union, Equity. He is a Board Member of Grey Coast Theatre Company in Caithness and he is a member of the judging panel for Scots Language plays in the annual Robert MacLellan Festival on the Isle of Arran.